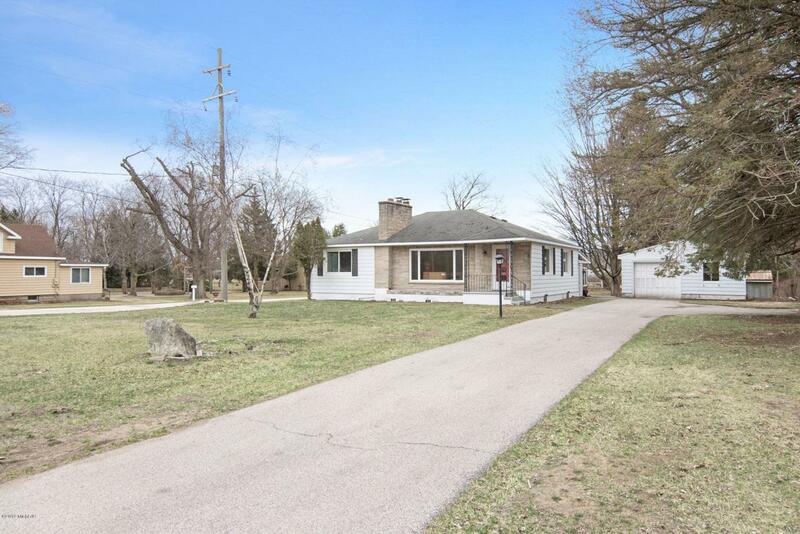 City of Ludington - 3 bedroom, 2 full bath 1950's ranch style home with almost one acre of property on a corner lot. Covered front porch invites you into the open space of the living/dining room w/ fireplace & large picture window. 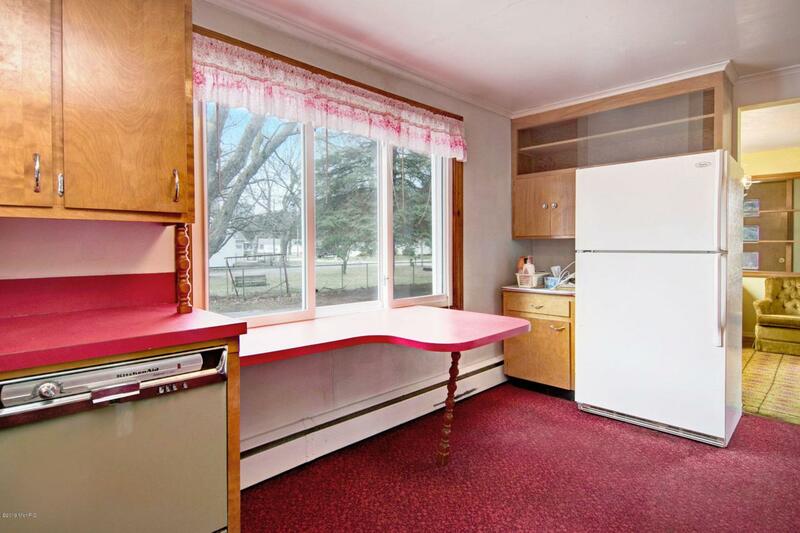 Kitchen offers plenty of cabinet space, built in table and big window for natural light. 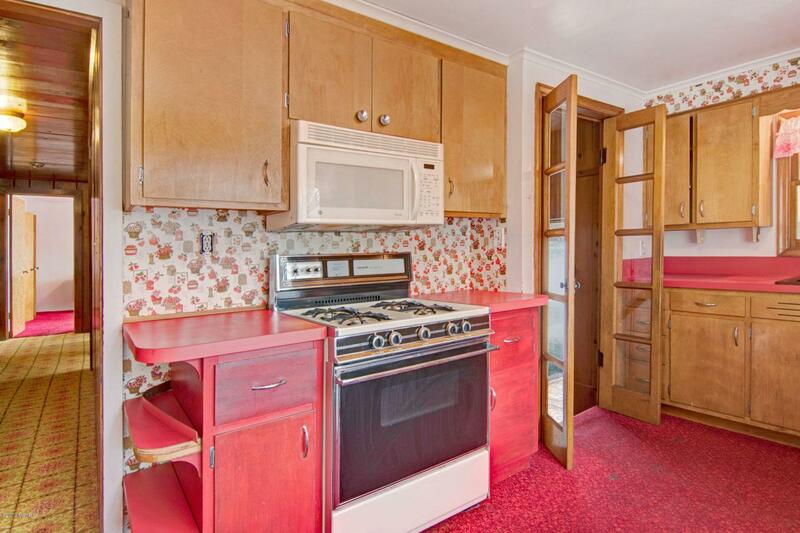 3 spacious bedrooms with plenty of windows (updated) & closet space. Southside 3 season room with sliders all the way around makes a great family space and entry way/mudd room. 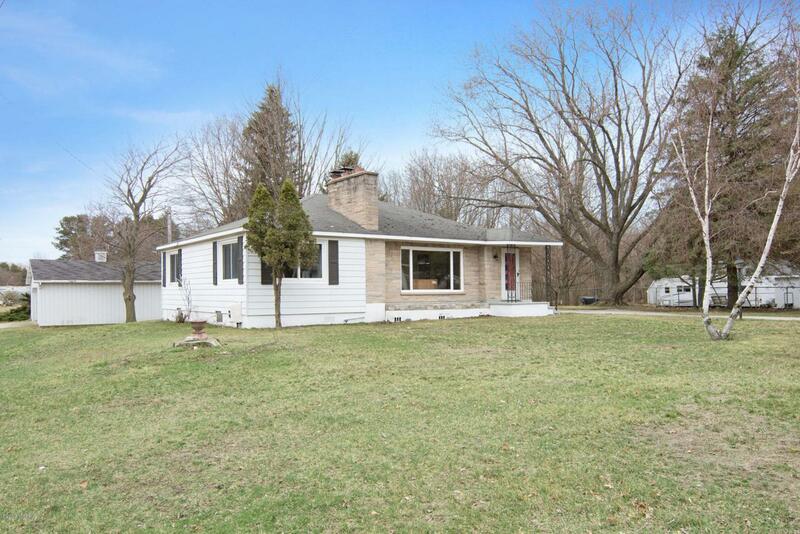 Full basement w/ rec room (and pool table), full bath, laundry, storage & mechanical room. Detached garage has single stall parking and extra wide for workshop/storage area. Detached pole barn with remote door opener. Property includes the vacant land to the south end of Jackson.